Salt Lake Community College updated a piece of the Taylorsville Redwood Campus earlier this summer. The Markosian Library went through a major interior renovation, changing furniture, carpeting and parts of the floor plan. Library staff introduced the new design by hosting an open house last Wednesday. Specific upgrades to the library included the removal and replacement of all the old wooden tables. New study spaces now have lightweight tables, cafe-style seating and tray tables. 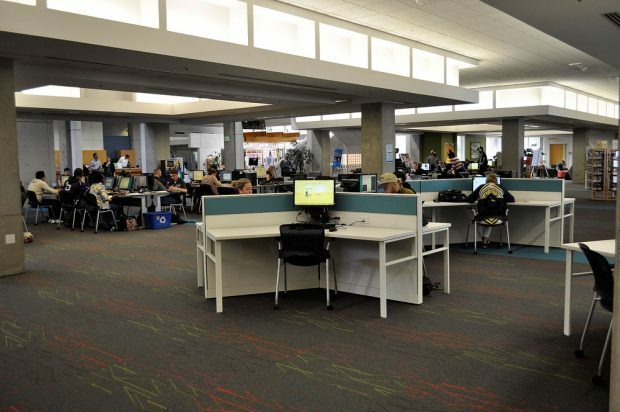 Rows of computers now feature more open booths and tables, and the new carpet looks similar to the carpet used in the Academic and Administration Building. Library staff notice a difference in the amount of students that are using the areas. 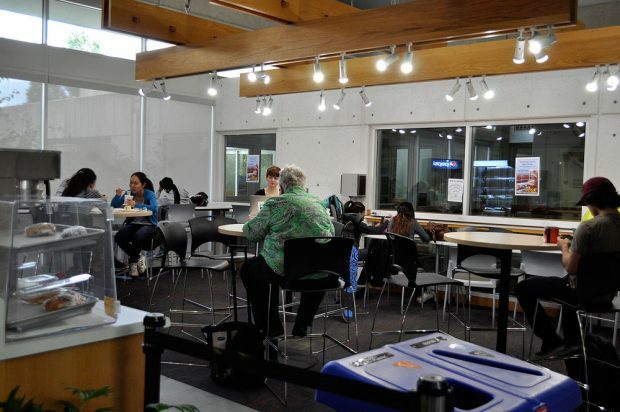 “Almost immediately when the semester started, the number of students in the library now is higher than the number of students that we had in the library around this time last year,” says library director Jon Glenn. Library staff wanted to organize the library into zones which are separated by sound level and activity. The layout incorporates several different types of study areas while maintaining an open feeling within the space. The floor plan supports a paradigm that focuses on fostering engaged and life-long learning through connecting and interacting with others, and creates a sense of community that contributes to learning opportunities. Finally, the new furnishings create a fresh environment to attract people to the library and serve as the social and learning hub of the campus. At the open house, library staff gave out food and snacks to all the students who came in during the late morning and early afternoon. Students could make their own wraps, and cake was offered for dessert. With the construction over the summer, some staff members feared a drop in attendance because of the noise. Others worried that students would not know when the renovation was complete. But as more and more students come through the library doors, those doubts have been erased.